You are at the Home of MARA COLTS FOOTBALL. Please find the concession stands and rest rooms to the right of the main field (as you look at the score board). We hope you enjoy yourself while you are here. 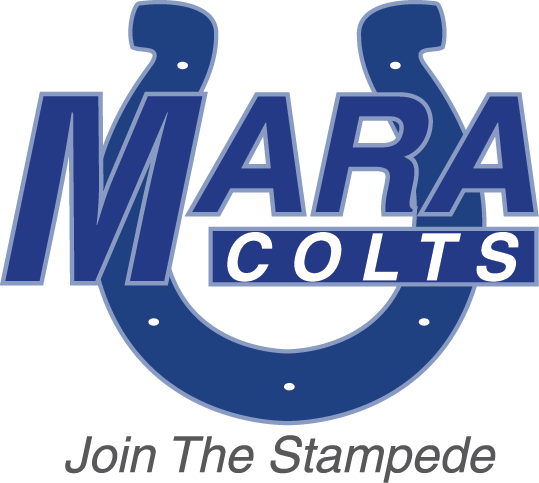 Please check out the MARA Colts on Facebook, Twitter, Foursquare, Instagram, and Pinterest. You can close this browser and begin to surf courtesy of the MARA COLTS.